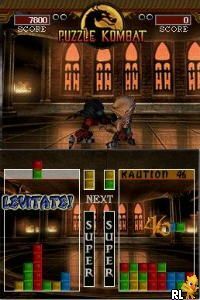 OverviewUltimate Mortal Kombat for DS by Midway includes Puzzle Kombat and a port of Ultimate Mortal Kombat 3 complete with online play. 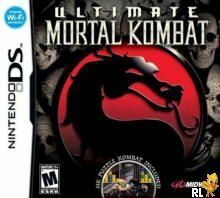 Ultimate Mortal Kombat combines the visceral thrills of the classic "Ultimate Mortal Kombat 3" and the addictive puzzle action of the Puzzle Kombat (a Mortal Kombat version of Tetris) component of Midway's best-selling "Mortal Kombat: Deception" in a single DS-friendly package. With new record-keeping capability, and Nintendo Wi-Fi Connection multiplayer, players can take UMK anywhere for fighting action on the go. Now you can add videos, screenshots, or other images (cover scans, disc scans, etc.) for Ultimate Mortal Kombat (U)(XenoPhobia) to Emuparadise. Do it now! If you haven't noticed yet, we have a retro game of the day feature (top-right of the screen) wherein we feature a new retro title every single day! Now, you can vote for your favorite games and allow them to have their moment of glory. 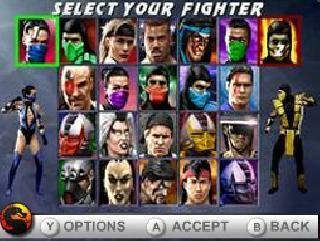 Click on the button below to nominate Ultimate Mortal Kombat (U)(XenoPhobia) for Retro Game of the Day.